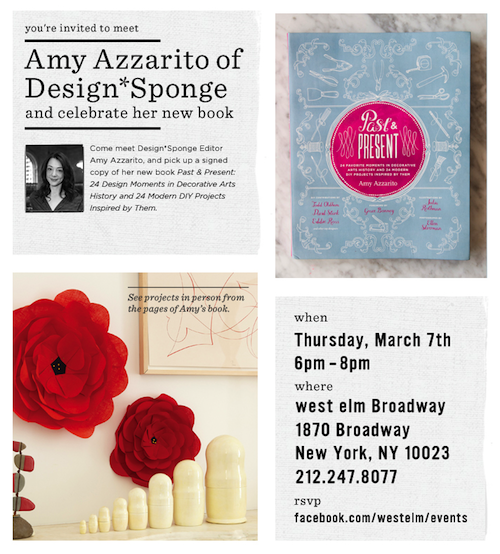 It's been a big week for Design*Sponge managing editor Amy Azzarito. 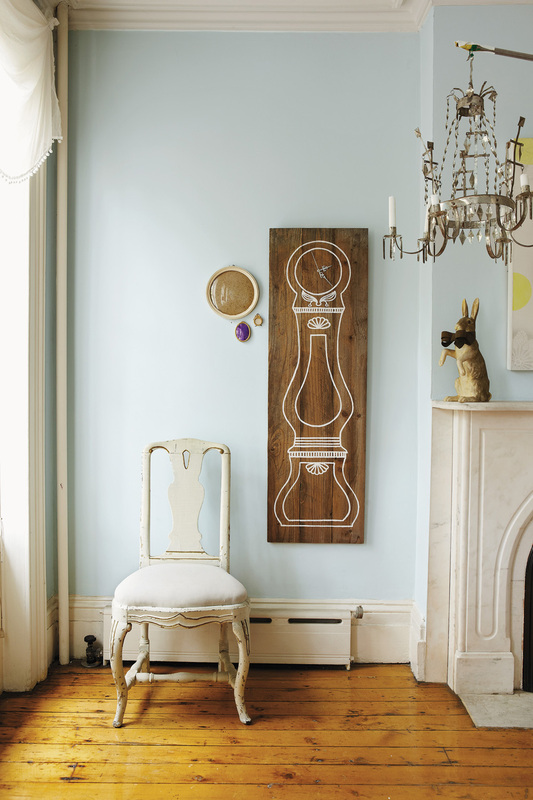 Her first book, Past & Present: 24 Favorite Moments in Decorative Arts History and 24 Modern DIY Projects Inspired by Them, has hit stores, and we couldn't be more excited! Today is especially thrilling—Amy is on on Grace Bonney's After The Jump podcast this morning, and her book launch party kicks off tonight at West Elm Broadway! If you're in the New York area, make sure to stop by from 6-8 PM EST for food and cocktails, and to see 10 DIY craft projects from designers who contributed to the book, including Grace Bonney, Erica Domesek, and Confettisystem (RSVP on Facebook here).